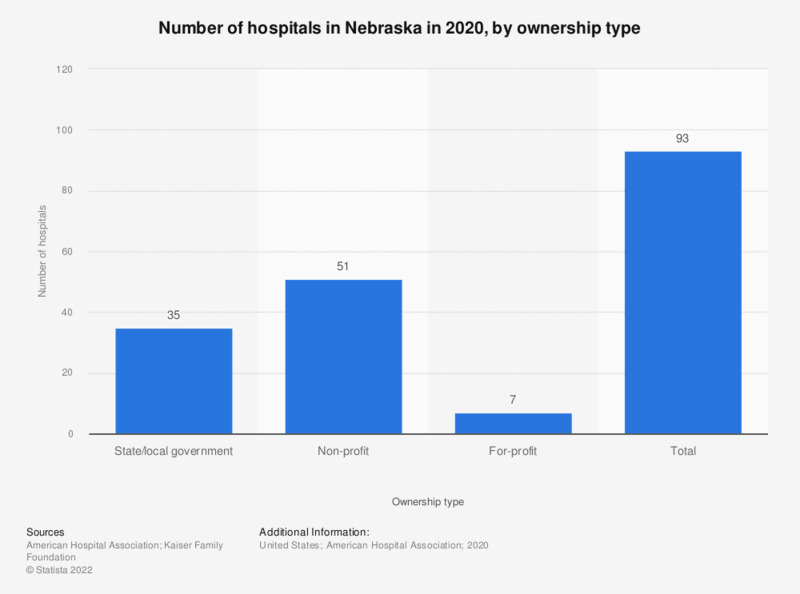 This statistic depicts the number of hospitals in Nebraska in 2016, by type of ownership. During this year, 36 hospitals in Nebraska were owned by the state or the local government. Per capita health care expenditures in the country is among the highest in the world.